Starting on Thursday 9 August 2018, a new road layout will be tested on Place du Casino. 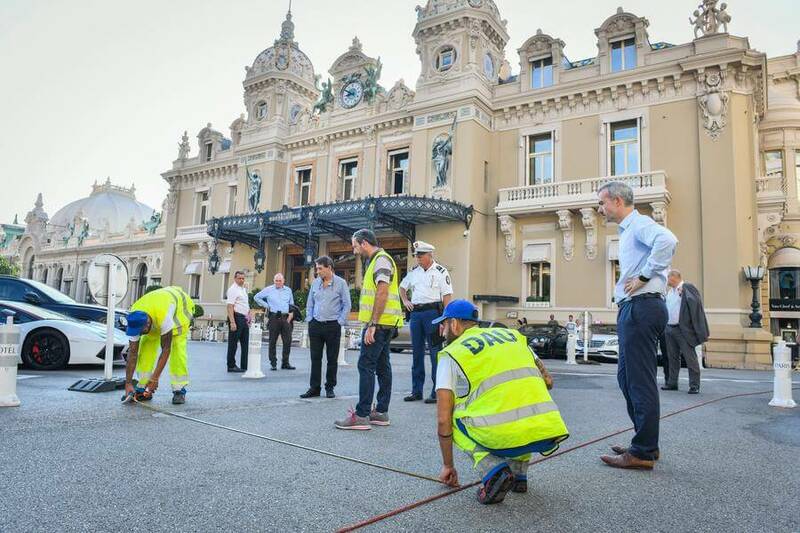 The initiative, which is being conducted under the aegis of the Société des Bains de Mer, the Police Department and the Department of Urban Amenities, will be in place throughout autumn, with the results to be analysed at the end of the year. The new layout includes pedestrianisation of the square. General traffic will be diverted in front of the Hotel de Paris (in accordance with the plan attached to this press release). Hotel guests will still be able to access the hotel and drop off their luggage. More information about this subject is available on our social media pages and via the televised news programme on Monaco Info. A full report will also be available on the channel from 7 pm tomorrow. As part of efforts to modernise its IT system and its ongoing bid to improve policy in the area of anti-money laundering and combatting the financing of terrorism (AML/CFT), for a number of months SICCFIN has, with the Government’s support, been working on a project to upgrade the computer system’s security. One of the key aspects of this project is the installation on SICCFIN servers of the operational and strategic analysis software goAML, created and developed by the United Nations Office on Drugs and Crime (UNODC) and designed especially for Financial Intelligence Units (FIUs). The primary objective of the software is to improve countries’ capacities to implement their AML/CFT policies, including by helping FIUs to analyse and process rationally and effectively declarations of suspicious transactions received from those subject to their control. It meets the needs of any FIU, irrespective of size, by providing an “all-in-one” solution. The software has been successfully rolled out in several countries and enjoys international recognition. To prepare for goAML installation, a SICCFIN delegation visited Vienna (Austria) in February 2018, where they met UNODC goAML Project Lead Alain Nkoyock. More recently, from 31 July to 2 August three officers from the Monegasque FIU, Karine Imbert, Éric Bergesi and Yann Raconnat le Goff, visited Liechtenstein at the invitation of Daniel Thelesklaf, Director of EFFI, the national FIU, to study the operation of this IT tool, which Liechtenstein introduced several months ago. 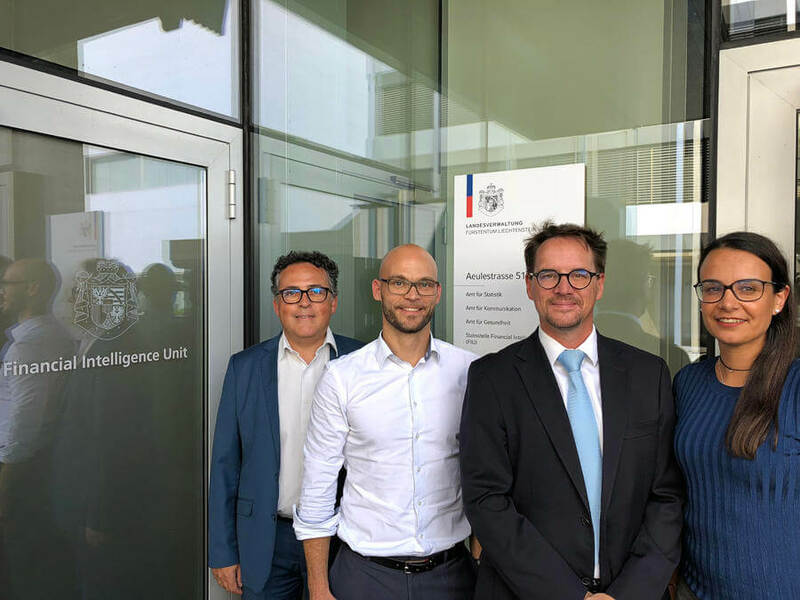 The meeting gave them an opportunity to benefit from the advice of Michael Schoeb, Deputy Director of EFFI, and Thomas Batliner, a programmer and analyst, on implementation and practical use of the system, and to discuss the problems that may arise during the initial months. Besides technical discussions, the visit was also a chance to strengthen links between EFFI and SICCFIN staff. International collaboration between FIUs is of primary importance in AML/CFT efforts.